A boycott imposed a year ago on the Gulf nation of Qatar is making life very difficult for its national airline. 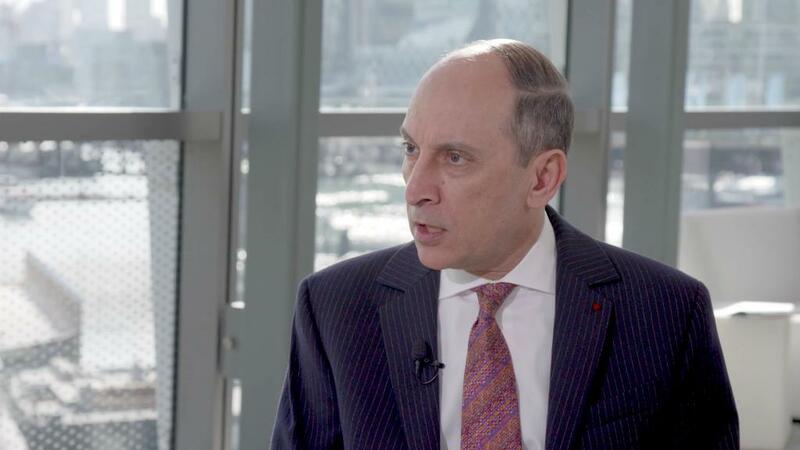 Qatar Airways CEO Akbar Al Baker said Monday that travel and trade restrictions imposed by Qatar's neighbors are "making a huge impact on the airline." "It has increased my cost of operations, it has increased our pressure on the bottom line," Al Baker told CNNMoney's Richard Quest. Saudi Arabia, the United Arab Emirates, Bahrain and Egypt launched an economic boycott of Qatar in June 2017, forcing the tiny nation to find alternative sources for key imports including food. The countries claimed they had taken action over Qatar's suspected funding of terrorism, an allegation that Doha has vehemently denied. Qatar's energy wealth has helped it ride out the economic disruption. It's the world's leading exporter of liquified natural gas, accounting for about 30% of global demand. Japan, South Korea and India are among its biggest customers. But Qatar Airways has faced airspace restrictions as part of the boycott, and tourism has taken a hit. Visitor arrivals into Qatar fell 23% in 2017 to 2.3 million, according to the Qatar Tourism Authority. Al Baker said the national airline, which has taken stakes in other industry powers including Cathay Pacific, remains in high demand. "There was a shock to the passengers in the beginning, but now our passenger numbers have started to grow tremendously," he said. Al Baker said that while cost increases and external pressure would have caused another airline to "collapse under this stress," the state-owned airline enjoys the full support of the Qatari government. "We are owned by the government, we are funded by the government," he said. "Eventually if this continues and my operation costs keep on mounting the government will have to come and support Qatar Airways." -- Alice McCool contributed reporting.